Northern California's educational toy tablet maker LeapFrog is selling itself to its Hong Kong-based competitor VTech for just $72 million, after years of declining sales. Apple leapfrogged the company with its more general purpose, albeit more expensive, iPad--which LeapFrog now develops apps for. 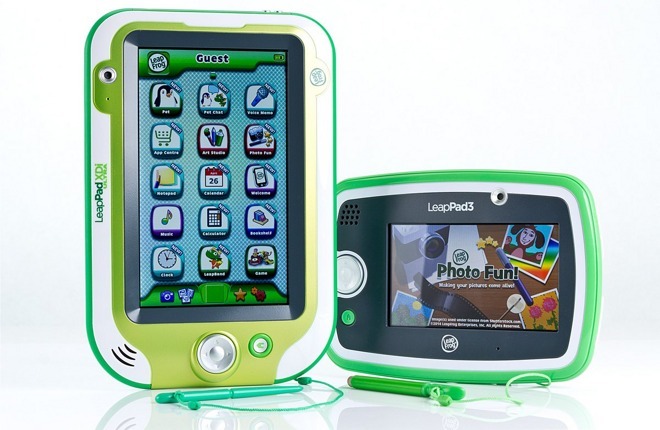 Despite offering a variety of low priced tablet learning products and experimenting with Android software, LeapFrog is jumping out of the competitive tablet business to become a subsidiary of former rival VTech. A report by Mark Calvey for the San Francisco Business Times noted that Apple's iPad "leapfrogged the toymaker's product line as more parents turned to the tablet computer as an educational device for their children." Founded in 1995, LeapFrog first developed an electronic book device intended to help children read. After iPad appeared, the company developed its own mini-tablet called the LeapPad, which sold for around $100 in 2011. The device's limited features (no browser, few games), compact, rugged construction and low price initially made it a moderately popular alternative to full price, full sized iPads. However, with the introduction of Apple's lower priced iPad mini--and the supply of older hand-me-down models--parents have shifted toward giving their kids iOS devices where games and educational titles abound. A story by the New York Times noted that LeapFrog's hardware sales plateaued in 2013, then dropped 40 percent in 2014 as iPad minis sold rapidly. With a broad range of App Store offerings, iPads can grow up in sophistication in step with a child's own development. LeapFrog has increasingly shifted toward developing iOS apps for iPhone and iPad. 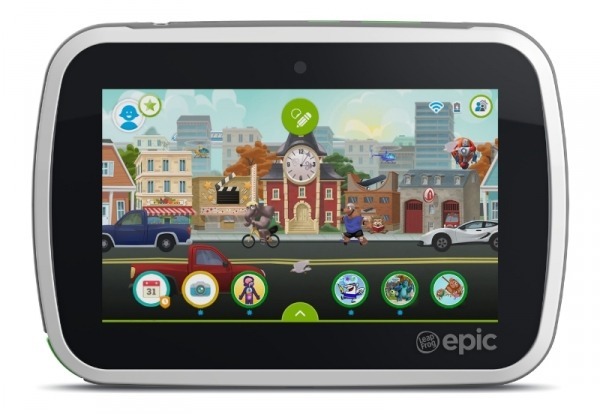 The company launched LeapTV, a simple kid-oriented game console, and introduced the LeapFrog Epic (below) last fall, an Android-based tablet priced at $139. However, after a bleak year facing intense competition from other cheap Android tablet makers including Amazon's entry level $49 Kindle Fire, LeapFrog continued to lose millions and ultimately agreed to sell itself. VTech, a contract manufacturer and "world's largest manufacturer of cordless phones," will apparently continue to support LeapFrog's apps. Years ago, VTech embroiled itself in conflict with Apple over its Laser 128, a mid-1980s luggable computer designed to look like the compact Apple IIc and run the same software. However, VTech is now a legitimate Apple MFi licensee, with the ability to manufacture products using Apple's Lightning Connector. Last fall, VTech suffered an embarrassing security breach involving "4,854,209 customer (parent) accounts and 6,368,509 related kid profiles worldwide" related to its Learning Lodge website and Kid Connect services supporting its own child-oriented tablets.